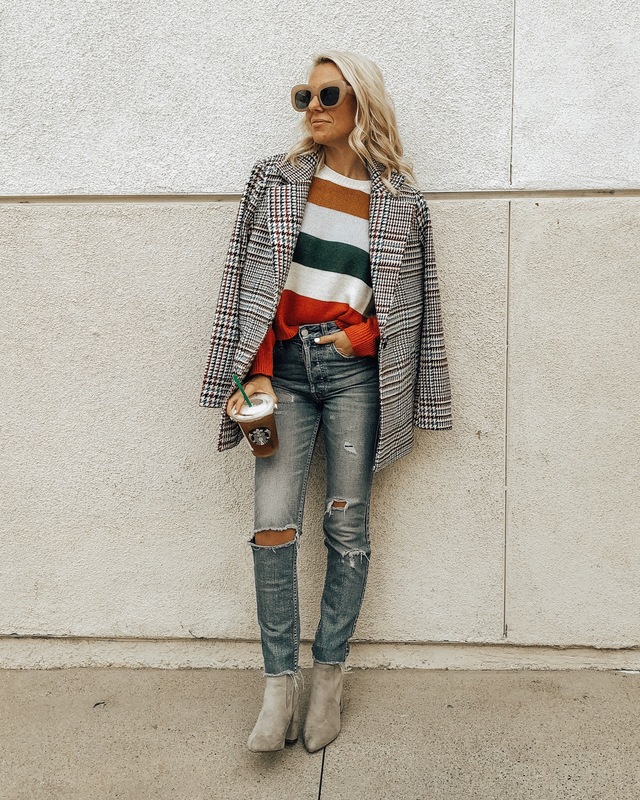 One trend I can't seem to get enough of this Fall is PLAID! Whether it's a statement blazer, a plaid dress or a just a touch like my favorite plaid booties one things for sure -I'm loving it! For the first look I paired this asos plaid blazer with distressed denim, a vintage band tee and my favorite white booties. This blazer gives me all the 90's vibes and makes me feel like Cher from Clueless! Such a fun movie right?! For the second look I took a bold plaid dress and toned it down by throwing on a casual black button up cardigan sweater. The red plaid makes me think of the winter season and gets me excited for Christmas. What do you think? If you've followed me for a while then you know I absolutely love putting the unexpected together and print mixing. For this look I decided to pair this warm plaid statement coat with a bold striped color block sweater. And it just works! 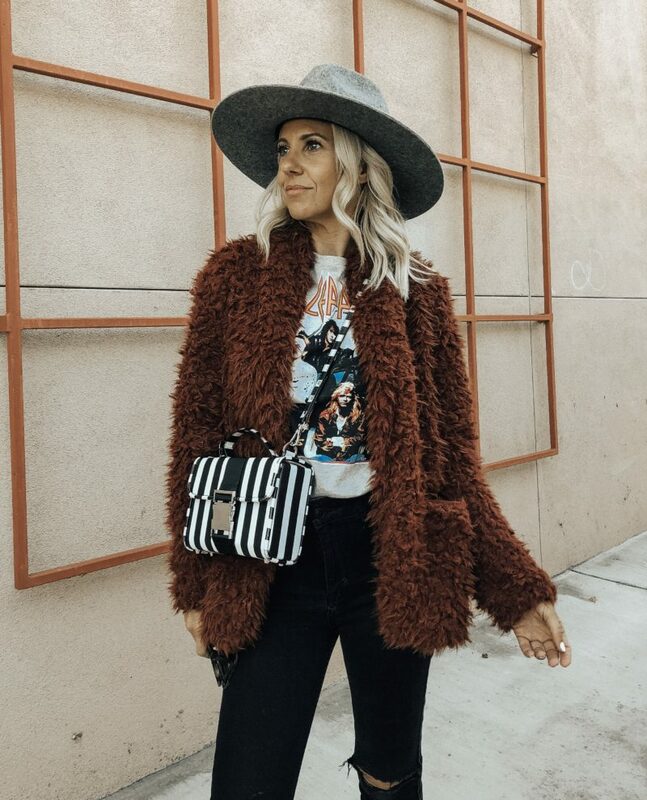 The best way to mix different prints together is to keep it within the same color family so it really blends well together. If you don't feel comfortable wearing a lot of plaid you can easily add it to your look with your accessories. Here I decided to pair my denim and faux fur jacket with my new favorite plaid sock booties. A great plaid handbag, earrings or scarf can even do the trick. 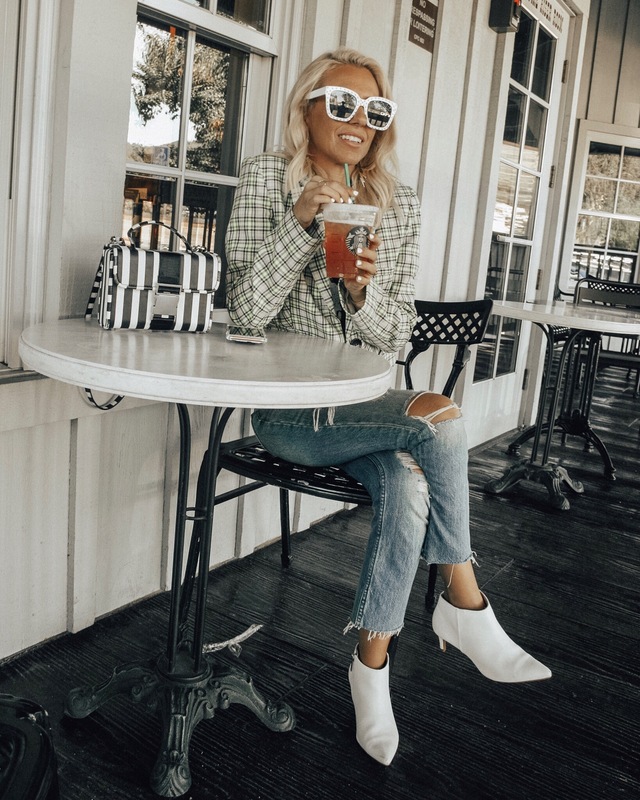 What do you think of this season's plaid trend? How would you style it? Please share in the comments below.